When you become an Eagle at Morehead State University, you’ll find something you won’t find at other universities. The authentic MSU experience is the reason we are consistently ranked by U.S.News and World Report as one of the top public regional universities in the South. You’ll find faculty who are invested in your progress – who celebrate your success and support you through challenges in and out of the classroom. You’ll have access to services, specific programs and attentive staff that guide you from the moment you set foot on campus to the day you graduate. You’ll find a campus and a community where you will feel safe and comfortable to explore your interests, make lifelong connections and grow as an individual. This is what you’ll find at MSU – a commitment to your success starts that starts when you enroll and continues throughout your life. 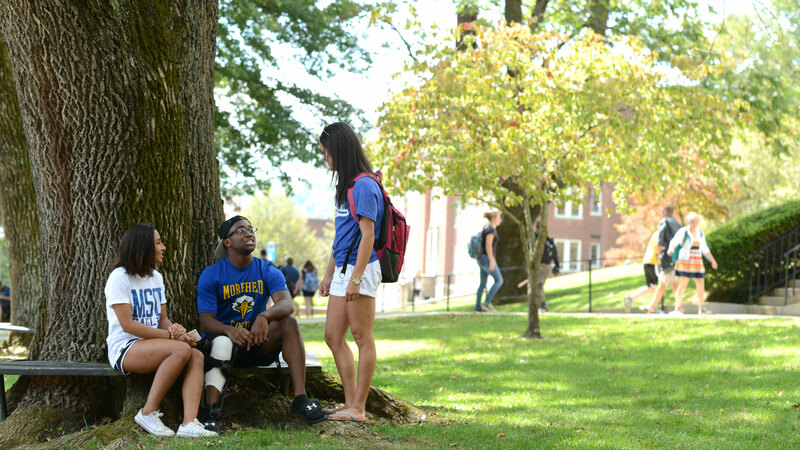 Morehead State offers an array of institutional scholarships for in-state, out-of-state and transfer students. Our scholarships encourage diversity on campus and reward students who achieve academic excellence and possess leadership skills. More than 90 percent of our undergraduate students receive some form of financial aid, and our friendly, knowledgeable financial aid staff can help you learn how to manage your educational expenses responsibly. We offer 144 undergraduate and 23 pre-professional programs, so you're sure to find a way to major in your passion and prepare yourself for a career you'll love. You'll have the support you need to reach your full potential at a small town campus that feels like home. If you want the full college experience, living in a residence hall allows you to stay involved in campus activities and events while promoting academic success. We offer a number of housing options on campus, from 2-person rooms to apartment-style living. The best way to get a sense of the authentic MSU experience is to visit campus and see it for yourself. Whether you come alone or bring along family and friends, a visit to MSU will allow you to tour campus, meet current students and faculty members in your field of interest, observe classes and more.